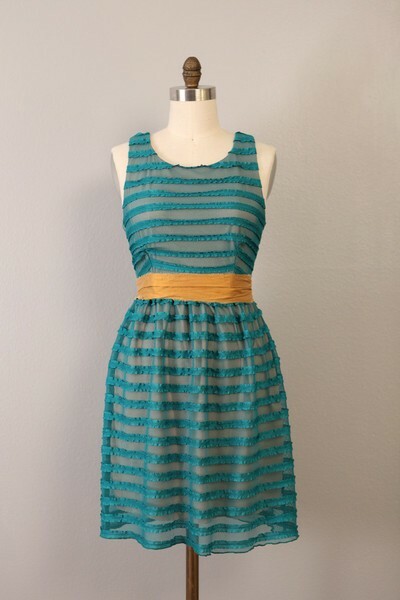 What's not loveable about this dress from a little shop I discovered on Pinterest called Edisen? I HEART the colors, texture, cut & oh look at that it's reasonably priced too! Hmmm.....wedding season is among us & I think it would make for a darling party dress or better yet it is perfect for like some end-of-the-season talent show at the Kellerman's Resort! What?! You mean you've never envisioned playing out the whole "Nobody puts Baby in the corner" scene. You're crazy! And why am I still here trying to convince you of how much I love this dress versus not over at Edisen's buying it right now? Fun new shop on Etsy. Well, new to me at least! 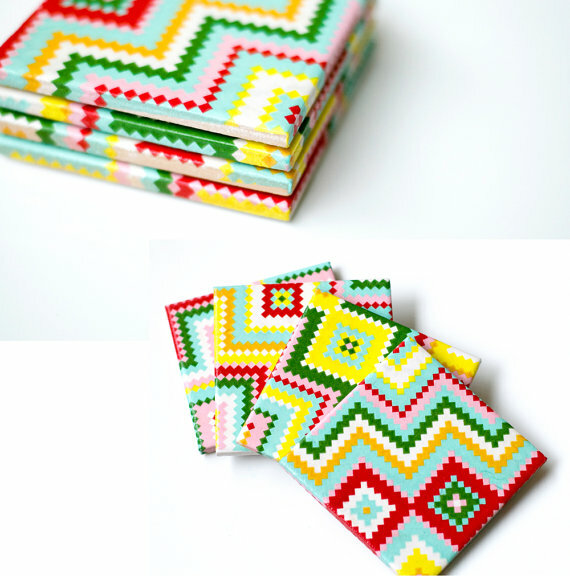 The colorful patterns on these handmade MG coasters are right up my alley. Check out all their cheerfulness here. Hope you all have a delightful weekend! LOVE, love, LOVE the dress! Wow! I love the French macaron dress!